Photographs are memories meant to be shared! Sara Paley Photography offers beautiful canvas prints and fine art heirloom albums. Brighten up any space in your home with your favourite photographs! 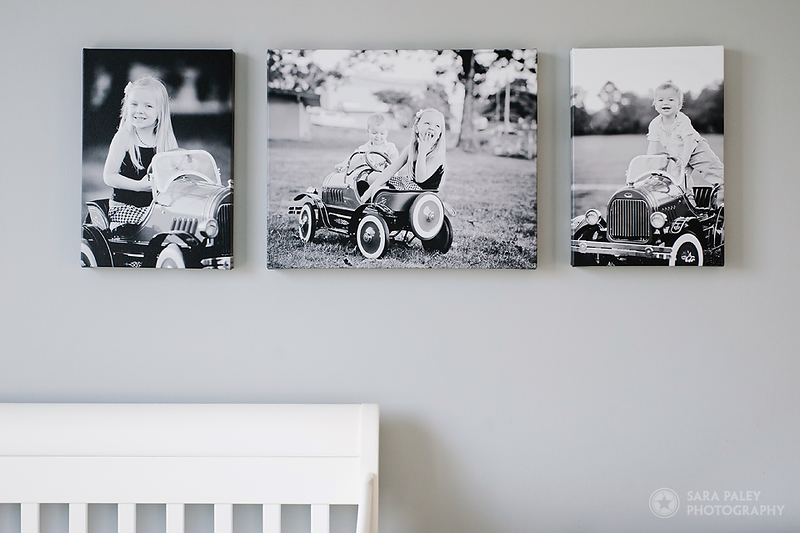 Choose a stunning 36 x 24 to stand out as a livingroom centerpiece, or a collection of square prints in baby's nursery. I can even design a custom collage layout just for your family. Please email me for full pricing.